Another cartoon that was brought to mind when I kept forgetting what I was looking for! 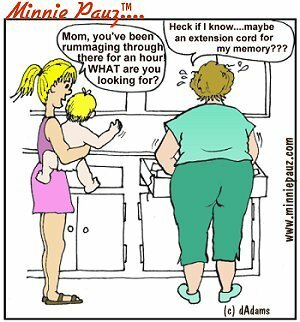 It's such a relief to find out that most women entering menopause will have moments of memory loss! It's still disturbing, but it does help to know it's very common and usually not permanent!